The most family-friendly, action-packed motorsport in the world races into the Frank Erwin Center on Saturday, April 21 and Sunday, April 22. The new season will bring motorsport fans to the edge of their seats with adrenaline-charged, high-flying, four-wheel excitement that is fun for the entire family. 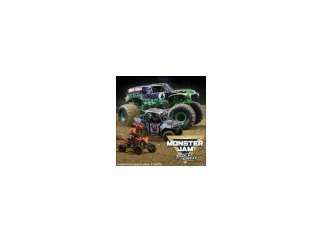 Featuring the eight most intense athletes of Monster Jam, Austin fans will witness a fierce battle for the championship with each competitor using customized high-powered vehicles: Monster Jam Speedsters, Monster Jam ATVs and the famous Monster Jam trucks.